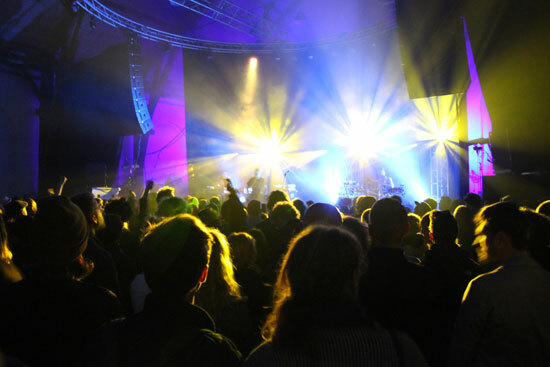 Danish-Berliner project in music will result in concerts at the SPOT Festival 2012 and subsequently in Berlin. The overall aim is to boost trade. The project has been initiated by MXD – Music Export Denmark and VUT – Verband unabhängiger Musikunternehmen and is part of MXD’s increased focus on the German market by means of additional financial support from the Danish Ministry of Culture. Danish music labels that would like to ensure their artists spotlight in Berlin and at the same time improve their access to the German market in general are now invited to take part in a Danish-German music exchange project. The same obviously goes for VUT’s +300 Berlin-based members who have similar interests in Denmark. The concept of the project is to bring together bands from Berlin/Germany with Danish acts. There is more information about the collaboration below, but in brief the two bands must find a total of 8-10 songs from their respective repertoires (on a 50/50 basis) which they are then to work together on and perform on stage with at least two band members from each band on stage all the time. First the two groups will present their collaborative music together at the SPOT Festival on the 4th and/or the 5th of May 2012. This will be followed up by a concert in Berlin later in the year. The goal is to secure footholds in Denmark for the German bands and their respective Berlin-based music companies (only VUT members), and likewise for the Danish bands and companies in Germany. Furthermore, industry and business events will be arranged in connection with the concerts to strengthen the relations between the two countries in order to gain long-term results. The formula with bands from different countries collaborating has been tested before and with great success both media-wise and business-wise – for instance at the SPOT Festival 2011 and most recently at the SPOT On Denmark event in Brussels on the 30th of November 2011. In addition to MXD and VUT the project is developed in partnership with ROSA – The Danish Rock Council, The SPOT Festival and The Royal Danish Embassy in Berlin. The event is the first of a series of initiatives in MXD’s increased effort on the German market in 2012, which the Danish Ministry of Culture supports with an additional DKK 500,000 for MXD. We kindly ask interested Danish companies that would like to take part in the Danish-German collaborative project to get in touch with International Strategy Manager of SPOT On Denmark Christian Buhl – buhl@spotondenmark.dk as soon as possible, and Christian Buhl will then provide you with the contact details of the interested Berlin companies. The sign-up deadline for Danish and Berlin companies interested in participating in the project is the 31st of December. Read more about the project below. The purpose: The project aims to increase the trade between Denmark and Berlin by creating a framework for the collaboration between Danish and Berlin music companies and their artists. The project will present collaborative concerts, where Danish and German artists literally share the stage during two concerts in Denmark and Berlin, which are aimed at both music fans and music business people. Collaborative concerts – the concept: the two bands share the stage and together they play a 40-minute concert. The set list must be a 50-50 mix of songs from the two bands’ back catalogues (i.e. four or five songs from the Danish band and four or five songs from the German band). At least two members of the Danish band must be on stage when the German band’s songs are played – and the other way around. Well, both drummers don’t have to be on stage simultaneously for instance, but the musicians from both bands must contribute actively all through the gig and not just when their own material is performed. Two Danish-German collaborative concerts in both Aarhus and Berlin in 2012. The project will be presented in Denmark at the SPOT Festival (the 4th and 5th of May 2012) and in Berlin (in October – December 2012). Both showcases will be backed by B2B networking events and promotion campaigns in both countries. Interested? The Danish music business must apply in collaboration with the German music business: Interested Danish music companies must sign up by email to buhl@spotondenmark.dk. After signing up the Danish companies will receive a list of interested Berlin companies so that they can start looking for potential application partners. In other words the bands cannot apply on their own. To be considered, the Danish music companies (record companies, booking agencies, managements, etc.) must team up with German music companies from Berlin. The Danish and German companies which apply have the full responsibility for the matchmaking of their artists. VUT, the German project partner. VUT compiles the Berlin list on the basis of dialogue with the more than 300 Berlin-based VUT members (independent German labels and music companies). That means the list will only include companies that are genuinely interested in taking part in the project and in collaborating with Danish companies to match the right artists. Likewise, a list of the interested Danish companies will be mailed to the interested Berlin companies. Deadline 1: Interested Danish and Berlin companies should sign-up by sending a mail to buhl@spotondenmark.dk (Denmark) or potyka@vut-online.de (Berlin, Germany). The deadline is the 31st of December.